This is the remarkable story about mindSpark Learning and our mission to transform education, lead the charge toward more dynamic workforce development and galvanize communities. The education system has consistently been a source of strife for educators, policymakers and leading industries. It’s consistently blamed for a lack of innovation and an inability to adapt to increasing societal demands. While this argument is well-known, and frankly overused, it is clear that there is a disconnect between education and workforce development. We simply cannot ignore the evidence that suggests the need for a dynamic education system is more paramount now than it ever has been. The fact remains that education is the greatest lever to solving some of the world’s biggest problems. However, it might be time to start re-thinking the way society thinks about a “system”. Instead of confining “systems” to the bureaucratic barriers that govern them, it is time to start thinking about systems as fluid networks that break boundaries, cross-pollinate and ignore the lanes that will keep them moving toward the same results that don’t serve society’s need to innovate and progress. In other words, what if there was a way to directly link industry with education and ensure there was an explicit connection between what students were learning in the classroom, and what skills they would need to be successful in the modern work environment? What if teachers were looked at as professionals, instead of glorified babysitters, and were engaged in authentic work-based learning experiences, in turn working with their students as colleagues alongside them? What if communities were empowered to have critical conversations internally, and tackle workforce development, social innovation and the demands of the future through a multi-faceted holistic approach that incorporated the voices of all stakeholders, from education leaders, to industry leaders, to government leaders? “What if” is starting to become a necessity if we truly want to innovate and be prepared for the future of the workforce. In a recent report, McKinsey and Company suggested 800 million existing jobs worldwide could disappear by 2030. In other words, nearly one third of the global workforce would have to seek other employment. The fact of the matter is, this is the world students, employees and employers are headed toward. Automation is likely to replace the majority of these jobs; however, it is becoming more and more evident that the need for an adaptable workforce that possesses creativity, critical thinking, leadership, emotional intelligence and problem-solving skills is vital now more than ever because these are the skills that automation cannot replicate. These vital skills cannot be obtained unless students are truly engaged with their learning, and introduced to ways in which that learning is directly related to the workforce they will encounter when they leave education to start a career. Yet, another recent survey found that only half of U.S. students report feeling engaged in school. Meanwhile, the teachers who join the profession with a fire and passion for education, which keeps those students engaged, won’t stay in the profession. Teacher retention is at an all-time low in the United States, with 14% of teachers resigning by the end of their first year, 33% leaving within three years and almost 50% leaving the profession within five years. While the need for teachers will continue to prevail, and while their contributions to students’ lives could never be understated, it is extremely clear that increasing the supply of teachers is simply not enough. The role education plays in the growth and development of students needs to be re-engineered, and all stakeholders, including communities and industries outside of education, need to be involved in this re-engineering. mindSpark Learning is leading the movement behind this re-engineering by making strides in education where many others haven’t been able to. In 2007, events called a “Share Fair” were first held. 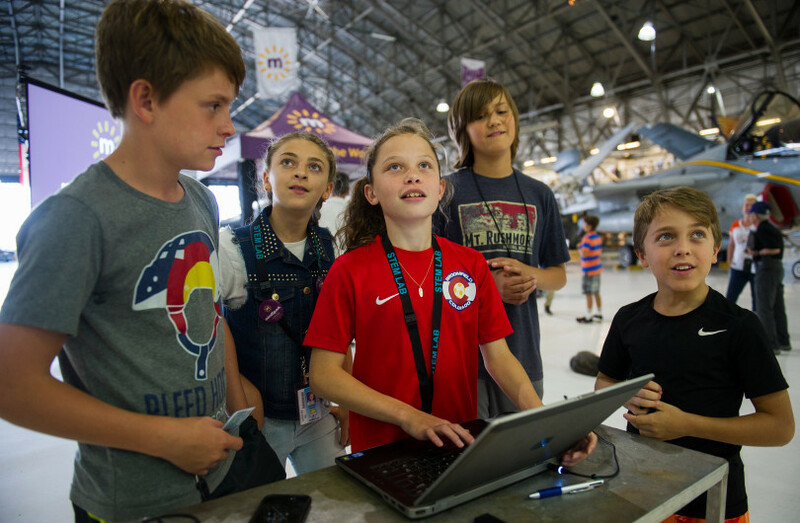 This one-day event was designed to teach educators in Denver how to use technology in their classrooms and improve student learning. Over the next eight years, the number of Share Fairs grew significantly. Under the organization known as Share Fair Nation (SFN), they became annual events attracting hundreds of educators and spreading to cities across the nation. Continuing to expand its focus, SFN became a nonprofit in 2015. Knowing that research consistently shows teaching and leadership as the most important school-based factors in student achievement, and that educators are the greatest leverage school systems have, SFN began to develop and implement customized professional learning programs. The work consistently sparked new ideas and pedagogies critical to the education landscape, rekindled educators’ passion for teaching and improved student engagement. In 2017, to better communicate our mission, SFN was rebranded as mindSpark Learning. While the name has changed, our passion and commitment to educators and education remains as strong as ever. mindSpark Learning is driven by changing the conversation in education through programs that are specifically built to incorporate authentic work-based learning experiences from industry, urge educators to act like start-up entrepreneurs and leverage the voice of all stakeholders in order to ensure that the re-engineering of education meets the needs of the 21st century world. Industries are continuing to make strides toward achieving some of their lofty goals, and global economies, as a whole, are beginning to reach even higher, as outlined in the UN’s 17 Sustainable Development Goals for 2030. However, while global economies continue to reach for sustainability, affordable and clean energy and clean water and sanitation, to name a few, they will become more and more dependent upon education to achieve these goals. Unfortunately, UN data shows that the world is likely to miss its 2030 Sustainable Development Goal for Education because of a global shortage of teachers and a lack of quality teaching -- which has already left millions of children unable to read, write or perform mathematical computation. Every aspect of global society is being drastically transformed, and there remains an unwavering necessity for education. Education remains the answer, and it has never been needed more. There is clearly a substantial disconnect between the way students felt about their proficiency, and the way employers felt. This is especially true when looking at “Professionalism,” “Communication” and “Leadership,” which are invaluable skills in the work environment, particularly if you want to keep working. Furthermore, according to a recent report published by Gallup and Strada, only 13% of the general population strongly agree that college grads are prepared for the workforce. Only 11% of C-level business people feel college graduates are well-prepared for the workforce. Most alarming, only 26% of college graduates strongly agree that their college experience was relevant to their current job. These types of problems aren’t exclusive to college graduates either. As mentioned in the above report from Gallup and Strada, only 3% of the general population strongly agree that high school grads are prepared for college, and only 5% strongly agree that high school grads are prepared for the workforce. The UN's 2030 Sustainability Goals serve as a stark reminder of what is on the horizon for global societies. Accomplishing them, however, requires the re-engineering of education. If students continue to enter the workforce with a disparate view on what it means to be prepared for work, then reaching some of the lofty goals global society has is going to be difficult. In other words, education remains at the epicenter of transformation, and now is the time to start changing the narrative in workforce development by focusing on how education can lead to a more dynamic talent pipeline. Nonetheless, it’s an uphill battle for a number of reasons. Schools, districts and educators at all levels of education continually struggle to find funding; more importantly, they struggle to find growth opportunities for their staff because of this lack of funding. In other words, funding for professional learning is expected to stay tight, but that’s not what is most concerning. Make no mistake, educators must be leaders. They are often the catalyst to changing a student’s life, and educators impact, on average, over 3,000 students over the course of their career. mindSpark Learning’s leadership team is led by CEO Kellie Lauth, a former educator and principal of several successful STEM schools in Colorado and across the country. Lauth was -- along with her strategic team -- the catalyst for change at STEM Launch, and three other flagship STEM schools in the Adams 12 system in Colorado, not to mention 14 sister-schools across the nation. Her problem-based learning model has transformed the way students learn, and has been integral to the way their teachers now engage students. By directly connecting industry with education, and introducing students to real-world authentic problems, students have learned the critical thinking, problem-solving, adaptability, creativity, leadership, communication skills and emotional intelligence necessary to thrive in the modern workforce. At mindSpark Learning, Lauth and her amazing team are now set on tackling some of the world’s biggest problems through education -- with professional learning that focuses on supporting educators to develop the qualities mentioned above in students -- and they have begun this work in earnest. Educators often join the profession with an unshakeable desire to change the world, only to be outdone by the bureaucracy and yellow tape. They leave the profession only a few years later, or watch as their light slowly burns out, and their passion for impacting students’ lives dissipates. mindSpark Learning is on a mission to change that through professional learning that seeks to redefine education, and reignite educators with that fiery passion that leads to students’ lives being changed. We are accomplishing it by being the catalyst between education and industry, and by empowering systems to solve their own problems with their own resources while leveraging their talent to create agency. Through our customizable and innovative learning opportunities, mindSpark Learning will transform schools, galvanize communities, forge partnerships and change the world.